But then, they would wouldn't they? TomTom survey proves that SatNavs are better than maps. Funny that! 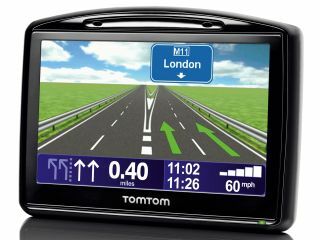 Sat-nav manufacturer TomTom has published the results of a safety study, which claims to prove the positive influence of sat nav devices on driving and traffic safety. The research took place in the UK, Germany, France, Spain, Italy and the US, and the results suggest that the use of sat-nav devices heightens drivers' awareness and reduces their stress levels. Rather unsurprisingly, TomTom informs us that: "The use of a satellite navigation device improves the driver's behaviour when driving through an unknown area to an unknown destination." The results suggested that the use of a sat nav also minimised distance travelled and travel time when driving through unknown areas. Commenting on the study, TomTom CEO Harold Goddijn said: "TomTom has consistently led the market with innovative safety features such as hands-free calling, the Help Me! emergency menu and clear, spoken instructions in our navigation devices. "We are pleased to see objective research further validate the fact that navigation contributes to driving safety and efficiency. Furthermore, the study shows that using a navigation device - compared to navigation by conventional means - reduces the number of miles that people drive when travelling through an unknown area to an unknown destination, which in turn has a positive effect on the environment and fuel costs." So, there we go, TomTom commission a study to state the fairly obvious - Sat navs are better than old-fashioned maps.